With a degree in biology from Sweet Briar College in Virginia, Siena has been an avid naturalist and outdoorswoman with interests in myriapodology (the study of centipedes and millipedes), herpetology, botany, and vertebrate morphology and physiology. During the free time that Siena never has, she enjoys looking under logs and rummaging through the leaf litter to find creepy crawlies, playing a variety of musical instruments, and spending quality couch-potato-time with her dog, Junie B. Jones. Cody Mendoza was a member of the 2015 Invasive Strike Force crew and has been controlling invasive species for 5 years in both New York and California. He graduated in December, 2010 from SUNY Environmental Science and Forestry with a Bachelors of Science in Forest Health. Before working with the NY NJ Trail Conference he worked with The Nature Conservancy in Pulaski, New York in the Lake Ontario watershed and the National Audubon Society in Trabuco Canyon, California at the Starr Ranch preserve. He enjoys working outdoors, hiking, backpacking and foraging for plants and fungi. His professional goals for the season are to improve his botany and leadership skills. His personal goals for the season are learning archery, fishing and learning how to do the 4x4 rubiks cube. Matt graduated with a communications degree with a concentration on media production from William Paterson University. A few years after college he made a switch to focus on being more involved in the restoration and preservation of the environment. His goal is to eventually use his degree at the state and national park level to create documentaries and exciting television shows, but he would also like to become a park ranger or land manager. Matt started an Americorps term with the Trail Conference in 2015 on the Taconic crew building a hiking trail to the Appalachian Trail in Fahnestock State Park. Once the season ended he stayed on during the winter as Linda Rohleder’s assistant invasive species program coordinator. Matt enjoys working outdoors, traveling, climbing high mountains, and is a thrill seeker that likes anything dangerous. He is always excited to learn new things and is looking forward to a great season. Michael graduated in May of 2015 from Rutgers with a B.S. in Landscape Architecture, and a focus on ecological design. Before joining the Invasives Strike Force, Michael has worked with the Central Park Conservancy in their Construction Department, the Township of Maplewood’s Department of Public Works as a Horticultural Lead, Rutgers Gardens as a Zone Gardener and Greenbrook Nature Sanctuary along the Palisades as a trail maintainer. Previous to completing his bachelor’s degree, Michael had a career in corporate aviation as a Material Manager which he walked away from in order to work to improve our natural landscapes. Michael plans to go back to Rutgers in the Fall to pursue his Master’s degree with a focus on native plant restoration and invasive species control. The Trail Conference's Invasives Strike Force (ISF), started in 2011, is a project is born out of the ideas, learning and experiences of a joint project between the Trail Conference and Rutgers University from 2006-2009 that was supported by the USDA (US Dept. of Agriculture) to better understand the spread of invasive plants in forested parklands. Project goals include travelling to various recreational areas and preserves throughout New York and New Jersey and working to control populations of invasive species present. This will promote biodiversity and an overall more healthy ecosystem. We will schedule trail crew work at these target locations and work to prevent and reverse the invasion along our trails. Our Invasives Strike Force volunteers are supported during the summer by our seasonal crew which helps train volunteers, leads removal work days, and carries out additional removal projects with our park partners. Bring your lunch, plenty of water, sturdy workshoes, and long pants. Tools, materials, and training will be provided. Season Total Removal Count: 66,134 Invasive Plants! On Saturday, May 7th, 11 Invasives Strike Force (ISF) volunteers joined forces with the 2 ISF Summer Crew members to remove invasives at Old Croton Aqueduct for I Love My Parks Day. The ISF team were successful in cleaning up invasive plant species from the historic stone wall and adjacent hillside along a northern section of the OCA Trail. The piles of removed invasive plants were placed along the edges of the trail to be chipped by a wood chipper. Treated species include English ivy, Japanese honeysuckle, Oriental bittersweet, wineberry, multiflora rose, cardamine impatiens, celandine, Norway maple, and burning bush. On Saturday, May 14th, the Invasives Strike Force (ISF) Summer Crew was joined by volunteers to do a high priority early detection removal of this emerging invasive species, Corydalis incisa along the banks of the Bronx River corridor. Corydalis incisa has been rapidly spreading downriver. The 4 members of the ISF Crew started their removal day at Crestwood Train Station in Tuckahoe, NY in Westchester County. There they pulled 697 plants over a gross area of 0.0411 acres. The crew focused on pulling both seedlings and adult plants, but there were too many seedlings so the tally of plants removed includes only adult plants. At the ISF crew’s next removal location at Muskrat Cove Park in the Bronx, they were joined by a volunteer who helped in the efforts to pull 1,227 plants over a gross area of 0.0210 acres. Here the crew focused on pulling the flowering adult plants along the Bronx River Parkway Reservation bike path. The total removal count for the work day was 1,924 Corydalis incisa pulled over 0.139 acres. On Sunday, May 22nd, the ISF Summer Crew held a volunteer work day at Harriman State Park near Lake Kanawauke for an early detection removal of Scotch broom (Cytisus scoparius.) Three volunteers came out to support the crew’s removal efforts. There were many plants that had deep root systems, so the crew used a stump cut method for 573 plants. The ISF team was successful in treating 4,011 Scotch broom plants! For National Trails Day, on Saturday, June 4th, the Invasives Strike Force Summer Crew and a group of 22 ISF volunteers got together to do an invasives removal at Bear Mountain State Park. The removal site was near the Trails for People exhibit in between the Blue Trail and the Appalachian Trail. This was a huge turnout for National Trails Day! REI gave out prizes at lunch, and every volunteer received a t-shirt. Japanese barberry and wineberry were the most prominent species at this site, so the removal efforts were primarily focused on these two species. There were a few other species also present that were removed; these species include tree of heaven, Oriental bittersweet, garlic mustard, mugwort, multiflora rose, and burning bush. Two emerging invasive species were also treated; these emerging invasives were Japanese angelica tree and black swallowwort. Overall, 2,570 plants were treated over 2.7743 acres. On Monday, June 6th, the ISF Summer Crew surveyed and initiated treatment of Dwarf Bamboo (Pleioblastus spp) along the Bear Mountain State Parkway. This population of Dwarf Bamboo is the first in New York State and is considered a priority for removal. There were four roadside sites which were controlled by our crew. On Saturday, June 11th, The ISF summer crew members and five volunteers removed invasives along the red Old Coal Trail past Project U.S.E and an unmarked trail. The goal of this volunteer day was to remove a large patch of Japanese barberry on the south side of the trail to prevent its spread deeper into the forest. Other plants such as oriental bittersweet, multiflora rose and autumn olive were pulled or treated with herbicide if they were found within the Japanese barberry patch. In total, 1,508 plants were removed or treated within a gross area of 55,000 square feet (1.263 acres). On Monday, June 11th, The ISF crew and Linda Rohleder met with Trillium Invasive Species Management to control the dangerious invasive plant, Giant Hogweed. The team worked on private properties where the plant was located. The team properly equipped themselves with Tyvek suits and long gloves for protection from the plants sap that could cause severe burns. The population was in a large field behind the home and Trillium treated the species using foliar herbicide application. 88 plants were treated within a gross area of 30,000 square feet. The crew visited several other sites at different locations. In our monitoring efforts at some of the locations we revisted, there were no new signs of the species. In the locations where species were present, we used the method of root cutting the plant and placing the removed species in garbage bags for disposal. In total, 71 plants were root cut. The Invasive Strike Force crew met with Diane Alden (Friends of Old Croton Aqueduct) to go over the work needed at the Old Croton Aqueduct. The crew began work to remove various invasive species on portions of the Old Croton Aqueduct Trail and exposing the historic stone wall. English Ivy, Japanese honesuckle, Oriental bittersweet, wineberry, multiflora rose, burning bush, Norway maple, garlic mustard, porcelainberry, forsythia, border privet, winter creeper, Japanese maple, wisteria, Japanese angelica tree, and Siebold's viburnum were removed along the trail. For the entire project at Old Croton Aqueduct State Historic Park, the ISF team and 24 volunteers removed a grand total of 6,966 invasive plants along the Old Croton Aqueduct trail. Diane made fresh garlic mustard hummus from the invasive plant, and it was yummy! The ISF crew members returned to Harriman State Park to work on six Scotch broom sites on Seven Lakes Drive and Kanawauke Road. Some of the sites have never been treated before, and others were revisited due to rain. In total, 956 plants were hand pulled, and 304 plants were treated with herbicide within an area of 0.565 acres. Three ISF crew members went to Norvin Green State Forest for their second time this season. This time 10 sites were visited and 3 were newly discovered sites containing Japanese angelica tree populations that we had not sought permission for treatment by the park manager. The new sites were recorded for future management. None of the sites visited had plants in flower, fruit or seed. All of the sites treated with herbicide were done so using the basal bark method. Using this method, instead of cutting the trees which can stimulate suckering, the trees are left intact and herbicide is dribbled onto the stem. The herbicide is oil based and will be absorbed into the bark and translocated into the roots, thus, killing them. In total, 125 Japanese angelica plants were hand pulled while 408 plants were treated with herbicide within a gross area of 46,950 square feet (1.078 acres). The goal of this project was to assist partners with the suppression and control of this mile-a-minute site which is the northern most location for this species recorded in the Lower Hudson PRISM so that it doesn't spread further north into other areas of New York state. The 4 ISF crew members arrived at the private property in Esopus NY, where they met with Tom Lewis of Trillium INC. The best course of action was to have Tom's team and members of Scenic Hudson work elsewhere on the property while the ISF team followed the river in the floodplain to look for scattered populations of mile-a-minute vine. In total, our team pulled 2,609 plants that covered 22,235 square feet (0.51 acres) out of the 640,000 square feet (14.70 acres) that was searched. The goal of this project is the Treatment of black swallow-wort, Japanese angelica tree, and reed canary grass in the areas identified and to remove invasives from hedge row along the driveway. The following plants were removed along the hedge row: Japanese barberry, oriental bittersweet, wineberry, Japanese honeysuckle, multiflora rose, and burning bush. The crew treated Japanese angelica tree using the basal bark method at three sites near the orange-blazed trail circling Cliffdale Pond. The crew also accomplished 100% the treatment of black swallow-wort in the fields encompassing 27,604 square feet at teatown using the foliar spray method. In total, 219 invasive plants were hand pulled, 9 were cut and treated with herbicide and 315 Japanese angelica tees were also treated today. The ISF crew members had originally intended to continue working on the Southern Loop trail in Zofnass Preserve but were forced out of the site by a mountain lion sighting (later confirmed)! They high tailed it out of there and began work on the Western Loop trail instead. The main goal on the Western Loop trail is to remove the emerging invasive, glossy buckthorn (Frangula alnus) and the extensive multiflora rose populations. In total, we hand pulled 321 invasive plants and cut and treated 32 invasive plants within a gross area of 24,800 square feet (0.569 acres). Today marks the crew's first camping night together! The crew spent the night at the Delaware Water Gap after work in a campground in the park to help cut on travel time to and from the work locations. During the work day, the crew searched for Japanese hops near river camp site 62 and found a huge population covering 7,500 square feet. It took a long time and was very difficult getting to this site and the crew had to bush whack through thick brush to get there. They attempted to pull the Japanese hops and were able to pull about 10% of the population. They pulled 100% of the Japanese hops covering about 1,000 square feet of the 7,500 square foot gross area, but it was very difficult and were unable to treat the entire population. Hopefully next year the crew could use a kayak or canoe to use on the Delaware River so they can easily return to the site. One of our main goals of our visit to Minus River Gorge was to treat the emerging invasive species, bishop’s weed at four sites. Bishop’s weed has become a big problem here possibly due to mowing. Two ISF crew members foliar sprayed bishop’s weed while the other participants hand pulled the species near Christmas ferns. The crew split up again and 2 members worked on mugwort while the others worked on brush cutting Japanese barberry. In total, 100% of the bishops weed and mugwort was treated using a foliar application within a gross area of 24,600 square feet (0.565 acres). Our crew worked on something a little different on these days. We began surveying for invasive species in highly probable area zones in a section of Dutchess County. Our Lower Hudson PRISM Blockbuster surveyor volunteers are assigned a block within the Lower Hudson Valley NY area and try to find areas where invasive species are present. This data will help in future monitoring and removal efforts for the invasive species and also give us insight on how these species are spread. Overall the 2 days were hugely successful and we will try to manage these areas in the future. The goal of this project is to suppress the spread of sticky sage Salvia glutinosa, an emerging invasive species, with the hope to eventually eradicate the entire population in this area. The crew worked on private properties where the species was present. This is the only area in NY where the species is located so it is a high priority to target this species now before it can spread further. The crew used the foliar method to treat the species. In total, sticky sage was completely treated within a gross area of 68,400 square feet. The crew went to High Mountain Park Preserve near William Paterson University to treat black swallowwort and Japanese angelica tree populations. 2 members went to the Japanese angelica tree site while the others went to the black swallowwort locations. The crew was told that someone has been planting traps within the park that could hurt mountain bikers or hikers using the trails. Fortunately, none of our crew members were hurt while they were treating the target species. In total, 239 invasive plants were treated with herbicide and 100% of the black swallow-wort was foliar sprayed within a gross area of 36,500 square feet (0.84 acres). One of the goals for the project was to treat a site with the emerging invasive species, jetbead. One jetbead site was visited and treated located on Mountain Road near the Walpack Cemetery. The crew and a volunteer trail maintainer for Stokes State Forest, removed and treated the Jetbead through pulling and cut stump methods. Due to a predicted thunderstorm later that day, we were unable to treat the cut stumps that day and the sites were treated with herbicide the next morning. In total, 250 invasive plants were hand pulled and 98 were cut within a gross area of 8,500 square feet (0.195 acres). The ISF crew members and members of Westchester Land Trust returned to the site on the Western Loop trail in an effort to continue to remove glossy buckthorn and multiflora rose. During their clearings they came across 8 mile-a-minute (Persicaria perfoliata) plants. They were hand pulled within a gross area of 25 square feet (0.0006 acres). One of the ISF members found a rare and native orchid in the swampy bog where they were working known as Smaller Purple Fringed Orchid (Plantathera psycodes). A team of botanists came out to verify and take pictures of the species. The ISF crew members and Westchester Land Trust employees also removed some of the large burning bush, glossy buckthorn, Sielbold’s viburnum and linden viburnum trees near the rock wall parallel to Upper Shad road to limit the spread of these species along the road. 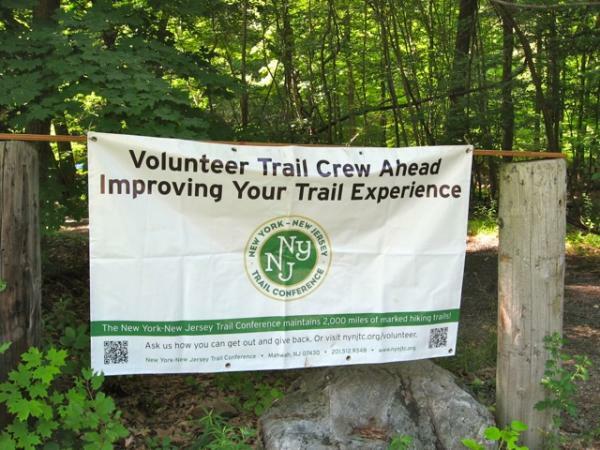 Overall In total at Zofnass preserve, 10 participants removed and treated 13,840 invasive plants over about 2 acres on the Southern Loop Trail, Western Loop Trail and along the stone wall parallel to Upper Shad road. The goal of this project was to clean invasive and non-native plants from the the Van Slyke Castle ruins site with priority focus on saving native trees, clearing the ruins, and targeting emerging invasive plant species known as wisteria and jetbead. During the week, we had 6 total volunteers help in these removal efforts. Some of the jetbead was seeding, so we tried to clip as many as possible and bag the seeds to help reduce the spread. Overall it was a really cool location to work at, and we helped make the castle ruins more visible and aesthetically pleasing. At the end of the week,1,181 invasive plants were pulled, and 2,435 invasive plants were treated with herbicide within a total gross area of 29,651 square feet (0.681 acres). The ISF crew continued their work along Pound Ridge road on the edge of the preserve. It was a nice, lovely day of invasive removals but then something happened. The hornets attacked. One unlucky ISF member was stung 5 times but managed to escape before more damage could be inflicted. After we escaped the vicinity, we treated the ISF member with first aid and worked elsewhere in the preserve. We returned to the site of the Great White Oak, an oak tree that is over 400 years old, and began invasive removals there. Overall, the crew removed 1,616 invasive plants from the Yellow trail and along Pound Ridge Road over for a total of [26,270 square feet (0.603 acres). The invasive plants removed were glossy buckthorn, broad-leaved helleborine, linden viburnum, Japanese barberry, burning bush, oriental bittersweet, multiflora rose, privet, wineberry, Japanese honeysuckle and bush honeysuckle. The ISF team went to Sparta Mountain Wildlife Management Area to search for and treat Japanese angelica tree (Aralia elata) along an unmaintained woods road on the northeast corner of Heaters pond. They hiked along the powerline north off of Edison Ave for about half a mile and split off onto an unmaintained woods road heading northeast until they found the Japanese angelica tree population. 206 Japanese angelica plants were treated with herbicide using the basal bark method within a gross area of 4,000 square feet (0.092 acres). Individuals were found on both sides of the trail (northwest and southeast). Many individuals were surrounded by brambles and it was difficult to get to each individual plant so it is possible that some were missed. All that could be seen, however, were treated. The crew also found a native fringed gentian in bloom along the powerlines approximately half way to the site. The goal of this project is to remove silver vine (Actinidia polygama), an emerging invasive species in the Lower Hudson region, on the Yeshiva Farm Settlement property in cooperation with Trillium Invasive Species Management Inc which is removing the silver vine found on the neighboring NYC DEP property. The long term goal is to eradicate this silver vine location from the region. This year is the first year of management for this location. The site that we treated is located across the street from 15 Nitra Rd, at intersection of Nitra Rd and Settlement Rd. This site was the largest of the three sies. We hand pulled 65 silver vines and cut and treated 649 silver vines with herbicide within a gross area of 2,800 ft2. The site was infested with a monoculture of silver vine approximately11,250 ft2 in size. We were only able to treat about 25% of the site on the day we were there. This was our last work day of the season, it went way too fast! The goal of this project was to generally clear invasives along relatively lightly invaded trails in the park to protect native habitats and involve volunteers in this effort through a volunteer work day. Overall, 8 participants removed and treated 836 invasive plants including Japanese barberry (Berberis thunbergii), multiflora rose (Rosa multiflora), wineberry (Rubus phoenicolasius) and the emerging invasive, glossy buckthorn (Frangula alnus) on the Ayers and Iris trails over an area encompassing about 0.603 acres. Read all about the work of the ISF crew from 2015. Read all about the work of the ISF crews from 2013 and 2014.